The Advisory Board for ARK is comprised of leaders in law, media, finance, and economics who collaborate and provide advice to the firm regarding strategic decisions and direction. The Advisory Board also helps ARK to catalyze action and may offer counsel on public facing outlets and communications. 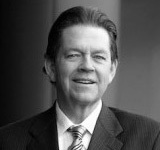 Arthur B. Laffer is the founder and chairman of Laffer Associates, an institutional economic research and consulting firm, as well as Laffer Investments, an institutional investment management firm utilizing diverse investment strategies. He has been a consultant to various US presidents and government departments from 1972-1980, was the first to hold the title of Chief Economist and advised Prime Minister Margaret Thatcher on fiscal policy in the U.K. Dr. Laffer has also held positions at Pepperdine University, USC, and University of Chicago. He has written extensively on economic theory and received numerous awards and recognition for his economic work. Tania Modic is a Founding Partner and Chief Investment Officer of Western Investments Capital, LLC a Nevada entrepreneurial family office involved in venture capital, private equity and public securities. Their asset mix includes commercial real estate, public equities, fixed income, mortgage backed securities, structured finance and municipal bonds. Venture investing is focused on disruptive themes with emphasis on media and financial industry technologies. 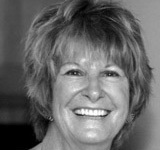 Prior to this she worked as Group Vice President – Bank of America World Banking Corporate Finance. President and Chief Operating Officer of Miller’s Outpost, a California based chain of 205 retail stores sold to the Brenninkmeijer Group in the Netherlands. Chris is a co-founder of Placeholder, a New York venture firm that specializes in cryptoassets. He co-authored the book, Cryptoassets: The Innovative Investor’s Guide to Bitcoin and Beyond. Prior to Placeholder, Chris worked for ARK and was part of the Next Generation Internet analyst team, leading the firm’s blockchain research. His commentary has been featured on national media outlets, including the Wall Street Journal, New York Times, Bloomberg and more.